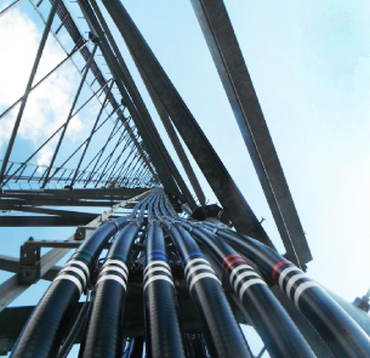 Our attention to detail ensures each antenna and line installation is performed properly and in accordance with customer and manufacturer specifications, as well as TTS’ rigid standards of safety and excellence. Our crews are trained and certified with today’s most prevelant brands of connectors, coax, fiber optic cables and are equipped with current connecting and cleaning tools to ensure the installation is done accurately from the start. Each TTS tower crew is supplied with Anritsu Site Master or PIM test gear to make accurate and precise measurements in return loss/VSWR and distant-to-fault (DTF) measurements. Along with Fiber Optic Testers and Fiber Scopes our trained and certified field technicians can perform field verification and fault location to detect problems before they become costly, time consuming system failures. We make sure each line passes, every time. Equipment Commissioning - Upon completion of the installation, the equipment is powered up and tested in a standalone environment. All cable connections are inspected and the equipment configuration is confirmed against the client's specifications. Equipment Integration - Once the equipment is commissioned, the new elements need to be connected and integrated to become a functional part of this client's network.